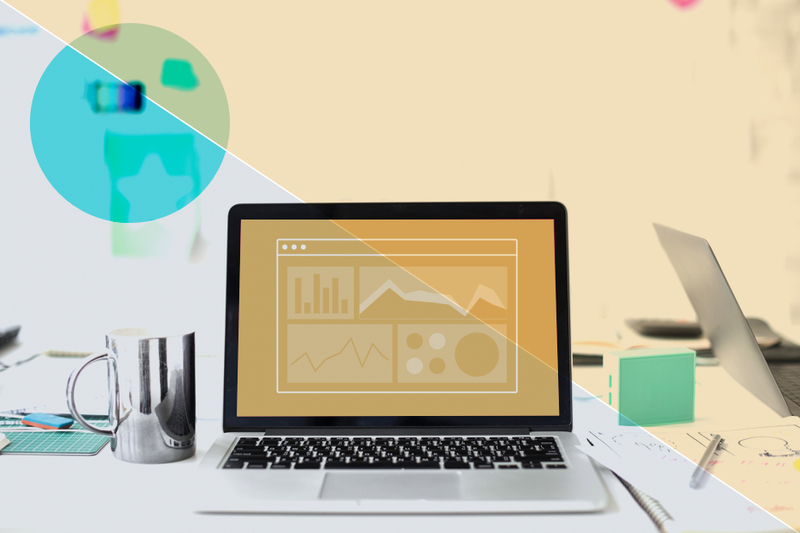 From an event calculator to conference management software, here’s our pick of the 8 best conference management tools for academics. From the complexities of abstract management, to cross-checking whether all 300 of your presenters have registered (and paid), research and academic conferences can be tricky beasts to manage. If we had a Euro for every time a customer told us they’d underestimated the work involved in organising one, we’d retire early. But instead, we’ve sussed out the conference management tools for academics that can help lighten your load. When you’re planning an academic conference, one of the biggest issues you face is getting the word out. Emailing a traditional Call for Papers means competing with every other email in an academic’s inbox (and academics get a lot of emails). Thankfully, academic event planners can avoid adding to inbox bloat by using PaperCrowd. PaperCrowd is a free research and academic conference directory. Adding your academic conference is free and, once it’s up there, researchers can find and follow your event. PaperCrowd — the best conference management tool for promoting a conference. Single- or double-blind? One- or two-stage review? Topics or tracks? (Or both?) When you’re managing submissions for an academic conference it can feel like you’re facing an endless march of admin. This is where good conference management software can save you days of work. Ex Ordo is your all-in-one abstract management software, registration system and mobile conference app. And unlike a lot of conference management software, Ex Ordo’s abstract management isn’t an add-on, it’s the system’s core functionality. So you can track reviews as they happen to spot which reviewers are falling behind, see which presenters have registered to attend (and which haven’t). And share accepted abstracts and sessions with delegates through the Ex Ordo mobile conference app. Not bad. 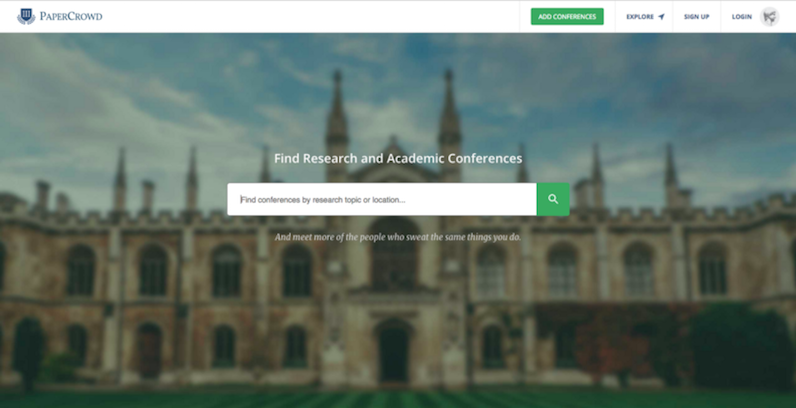 Ex Ordo — the best conference management tool for managing your academic conference. Between managing all the regular event tasks (like booking caterers) and the tasks required in building your technical programme (like creating a marking scheme), planning an academic conference can take a world of organisation. So it’s very useful to be able to glance at where your conference’s treasurer is on finalising the budget. Or see which venues your local chair has contacted for a quote. 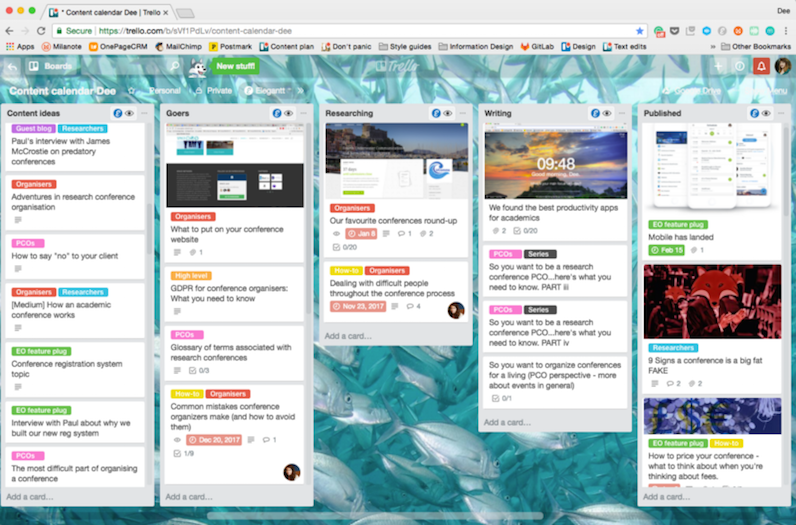 A task management tool like Trello gives you a bird’s-eye view of what’s going on with your academic conference. You can use Trello to create boards to manage your entire list of conference to-dos, from deciding programme themes to confirming keynote speakers. And Trello’s ability to mention other users and tick off tasks mean you won’t waste time sending emails to your committee when you could be getting real work done. Trello — the best conference management tool for handling tasks. In a survey conducted at Canberra University, 83% of the academics surveyed said they use Twitter for their academic work. Twitter is a pretty good way of telling academics about your conference. And HootSuite is a pretty great way of managing your Twitter account. 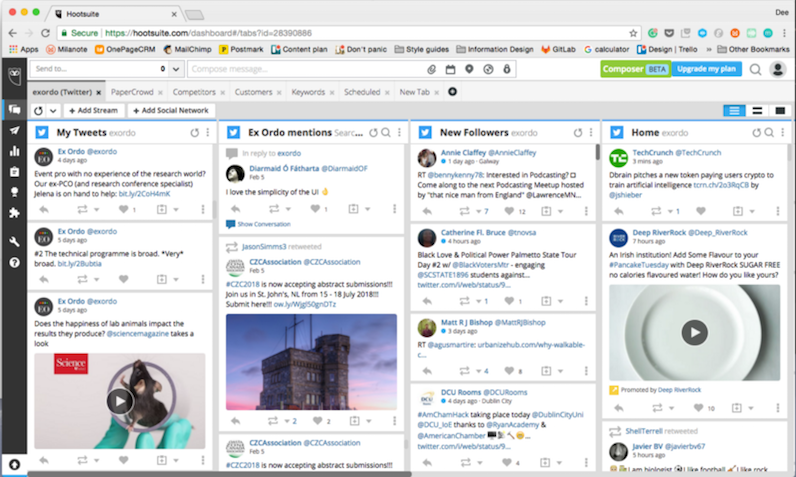 HootSuite helps by allowing you to save time by scheduling your posts in advance and bringing all your conversations into one manageable space. So you can watch hashtags that relate to your conference, and track mentions of your event. And you can use Hootsuite as an author or delegate support hub —a place where you can monitor conversations and answer questions about anything from submission deadlines to registration fees. 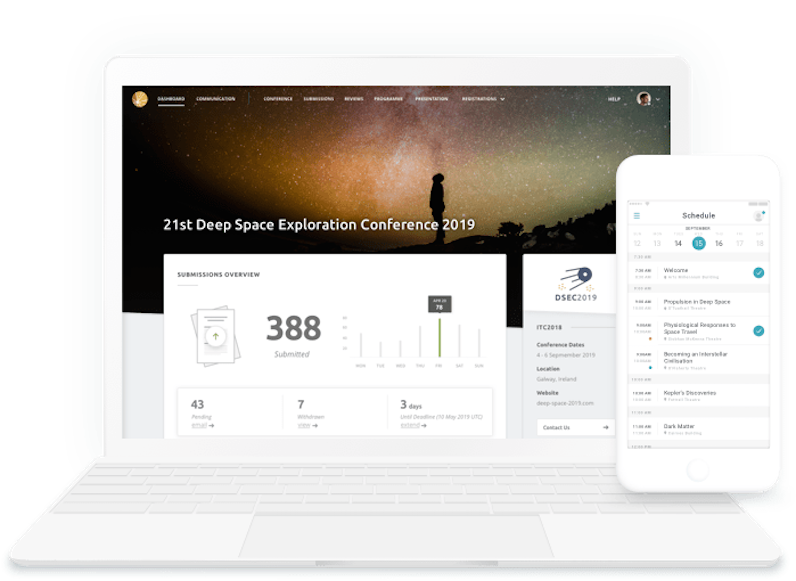 Hootsuite — the best conference management tool for your social media. IFTTT (aka If This Then That) gets your apps and devices talking to each other. It’s a great event planning tool for academics who find themselves spending time on repetitive tasks. Academic conference planners can use the free tool to create chains of simple conditional statements known as “recipes”. These triggers set off corresponding tasks — so you don’t have to. For example, you could use IFTTT to do things like get a notification everytime someone Tweets your conference hashtag or email your committee meeting notes to a shared Google Drive folder. So get exploring and free up your time to work on other aspects of your conference. IFTTT — the best conference management tool for automating repetitive tasks. When it comes to event suppliers, word-of-mouth recommendations are golden. Eventopedia lets organisers rate and review suppliers, making it easier for fellow event planners to find ones that are helpful and value for money. Eventopedia is a pretty new startup, so right now it’s only useful if your academic event is taking place in a major city like London, Hong Kong or New York. But keep your eyes peeled, as it has ambitions to become a global supplier resource. Eventopedia — the best conference management tool for finding suppliers you can rely on. Do you know how many cloakroom staff, waiters or bartenders you need for your conference banquet? If you’re an academic planning a conference, you likely don’t have the wealth of knowledge that professional event planners have, and it can be easy to misjudge numbers. 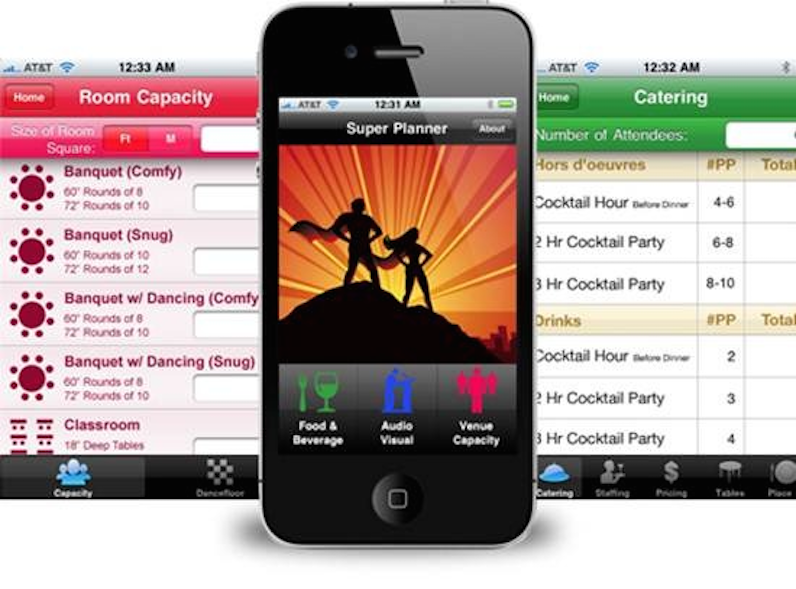 Super Planner is an event calculator that combines tools like a catering calculator and staffing calculator in one handy app. Use this planning tool to help your academic event stay on budget, well stocked, and appropriately staffed. Super Planner — the best conference management tool for crunching your numbers. 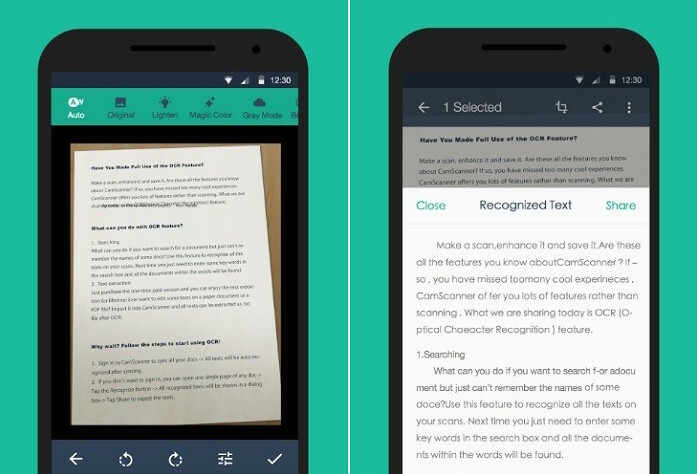 CamScanner transforms your phone into a scanner. This little app is incredibly useful when you’ve got contracts and receipts you need to turn into PDFs and send to suppliers or your organising committee, fast. CamScanner lets you capture documents by phone, remove busy backgrounds and generate high-res JPEGs or PDFs. Cut the clutter and stop worrying about keeping track of receipts and papers when organising your academic conference. CamScanner — the best conference management tool for generating PDFs on the fly. Being a professional event planner is one of those jobs you either love or you get the heck out of. Unfortunately, academics often have the dubious honour of being volunteered for conference planning roles, regardless of how they feel about event planning. But using the right conference planning tools mean you can get more done with the time you have. And reduce your stress levels too.